Plenty going on this week, but do check out the upcoming ‘Sign up now for…’ list at the bottom too if you want first dibs on tickets! A free monthly event from PSYBT, ELEVATOR is for anyone 18-30 involved in a startup or who’d like to set up a company. Mingle with like-minded people, learn from the evening’s presenter, shout out in the quick pitches, and enjoy free drinks and a light supper too! I’ve somehow never made it but hear great things from folks who have gone. For more info, contact Rosie Dowie on 0131 347 9831 or edinburghelevator@psybt.org.uk, but I think you can just show up from 6pm. Different format this week: we’re asking everyone to think of a question relating to their business that they would like the group to answer/discuss. Please be specific, and post your questions on Mirren’s page here so that other people have a chance to think about answering before Tuesday… The Launch Lab is a weekly session geared toward anyone who owns or is starting their own business. A highly varied group of energetic, intelligent people gather to exchange ideas, share critiques and encouragement, and feed each others’ vitality. Join in a webinar ScotlandIS is holding on indirect sales for overseas markets. Panel members are Robin Adair, an experienced US tech sector entrepreneur and international sales specialist, and David Cairns, Executive Chair of PrismTech, and Chair of ScotlandIS. Using Indirect Sales to establish a market presence in overseas territories can help de-risk the process, enabling you to grow sales without the challenges of establishing your own overseas sales force. Robin and David will discuss the pros and cons, and the factors you need to take into account before deciding whether this is an appropriate strategy for you. If you’re not a ScotlandIS member, you can email info@scotlandis.com to take part. Monthly gathering for anyone interested in tech, from developers to startups to innocent curiosities. This month, Paul Farley from Tag Games will be giving a talk about developing and releasing games for multiple devices and consoles. Tag Games is an independent game development studio and publisher formed in 2006 by three game industry veterans keen to bring fresh experiences to mobile gaming initially, and then to other platforms. Enjoy free beer, pizza and good chat! 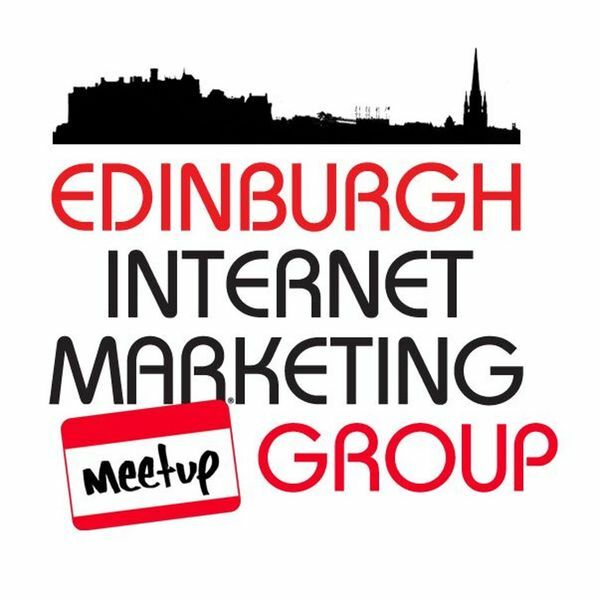 Internet Marketing Meetup is back! This month’s guest speaker Is Steven Moffat from Huan… Steven has been lovingly described by industry peers as “the sleazy and nasty side of entrepreneurship”, having successfully launched over 10 companies in several different markets and currently developing his ventures in ecommerce and internet Television. This month, Steve will be a delivering a motivational talk on setting up and trading an ecommerce business, including some hints and tips around drop-shipping. Plus… Beforehand, Daniel Winterstein will be giving a 10 minute presentation on “How much effect Twitter / Facebook / YouTube etc have on modern UK politics”. A meetup for hackers, designers, startups and people who love tech. Instead of presentations and talks, we work together on side projects or interesting apps, learn new techniques from each other, and hang out in a coffee shop while we do it all. Turn up something Saturday afternoon starting from 12pm, and it’s pretty much BYOL (bring your own laptop). You can have a look at what other folks are working on by going to the group’s site, and share your own project ambitions there as well. Launch48: Launch a web app in 48 action-packed hours, 4-6th June in London – 30% Discount if you book TODAY. MIT Workshop – Financing for Growth: 24-25th June, also offering full £495 subsidy for tech startups and the like so apply now if interested!